Wade Whitehead teaches fifth graders at Crystal Spring School in Roanoke, Virginia. A fourth-generation Virginia public school teacher, he holds degrees in education from the College of William & Mary and the University of Virginia. 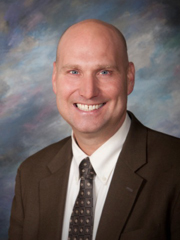 He is certified as an administrator and in gifted education. 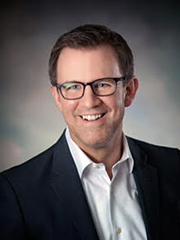 Wade is a National Board Certified Teacher and has received numerous recognitions including the Milken Family Foundation National Educator Award, the McGlothlin Foundation Award for Teaching Excellence, and the Virginia Lottery Super Teacher Award. Wade has consulted with the United States and Virginia Departments of Education, as well as dozens of school districts and education companies including PBS, Apple, and FableVision. 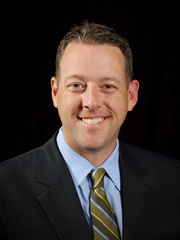 Joshua Cole is Principal of Ecoff Elementary School in Chesterfield County, Virginia. A graduate of Central Michigan University, Wayne State University, and Virginia Commonwealth University, Dr. Cole formerly taught in Perth, Australia, Detroit Public Schools, and Chesterfield County. Dr. Cole is a former recipient of the Milken Family Foundation National Educator Award. 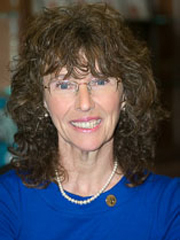 Dr. Jane Foley is Senior Vice President of the Milken Family Foundation, where she oversees the Milken Educator Awards and directs the Milken Scholars program. A 1994 recipient of the National Educator Award, Jane serves as a senior advisor for Lowell Milken Center. In 2006, she became senior advisor to former U.S. Secretary of Education William Bennett and led a team to develop a curriculum for his History books. Jane was an educator for 24 years in Indiana. As principal, her school attained state and national recognition in school restructuring, professional development, technology integration, and student achievement. She received her doctorate from Purdue University; honors include the Distinguished Education Alumni Award. Alex Carter's career in education has seen him accept the role as classroom teacher, department chair, assistant principal, school principal, chief academic officer, superintendent of schools, and, most recently, as Vice President of The Colorado Education Initiative, a non-profit focused on accelerating educational improvement and innovation across Colorado. Regardless of the role in which he serves, Alex is committed to improving the educational experience of students everywhere. Alex has published several articles in Principal Leadership and has co-authored two books on the importance of a successful transition to high school. A 2003 recipient of the Milken Family Foundation National Educator Award, Alex believes that all children deserve a great teacher in every class, every year. The Teachers of Promise Foundation is a 501(c)(3) organization.